Brand new apartments to book for holiday or business. Long stays welcome. Southsea Studios offers modern, comfortable accommodation in the heart of Southsea - just a two-minute walk from the seafront. The studios are within a large, detached Edwardian house in a quiet residential area. The property comprises multiple flats that are ideal for guests visiting Portsmouth who are looking for somewhere to stay that is easy and convenient. Each studio is private and self-contained - comprising a double bed, en-suite bathroom and small but niche kitchenette, which caters for short basic stays. All come with brand new central heating. Tea and coffee making facilities are provided, including a Nespresso machine. Free WiFi is available, as well as free on-street parking. Complimentrary toiletries, bottled water and biscuits are provided, along with luxury bathrobes & slippers. All the apartments are furnished in the same way, with neutral colours and a hint of nautical decor. Excellent for solo travellers and couples alike, the Southsea Studios offer great accommodation in an enviable location. Fair & Flexible guy. User of HomeAway myself so know what to expect and most importantly what my guests expect. Very friendly and your stay is my priority. 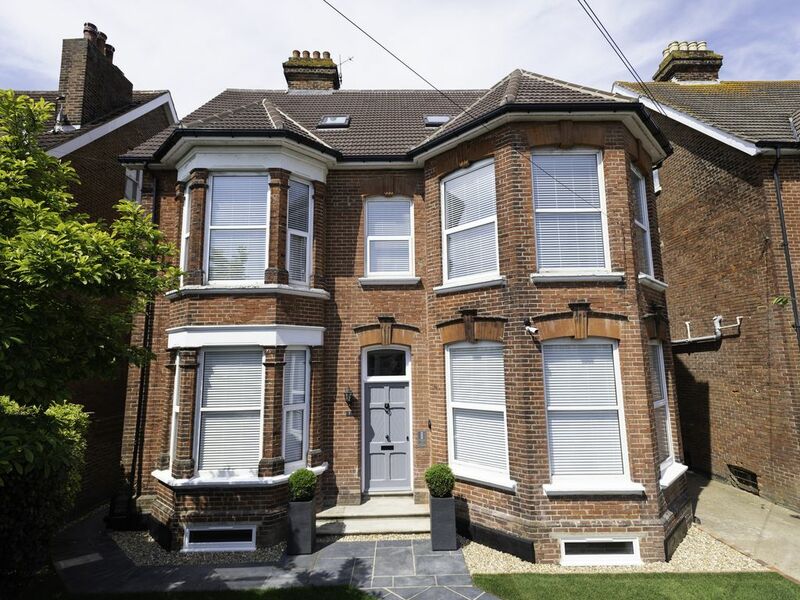 Located in one of Southsea's most highly sought areas. Quiet & Peaceful and just a minutes walk to the seafront. LOCATION LOCATION LOCATION!!!! FREE PARKING, WALKING DISTANCE TO BEACH, NEW & PREMIUM PROPERTY. Housekeeping provided and will turn around your room on the 4th day. Stays 3 nights or less wont be serviced.